MUMBAI: The year 2017 was pouring reality shows; there was a mix of new and old. Every leading channel from a Star Plus, Sony TV, Zee TV, &TV and many others used the reality platform to garner viewership. 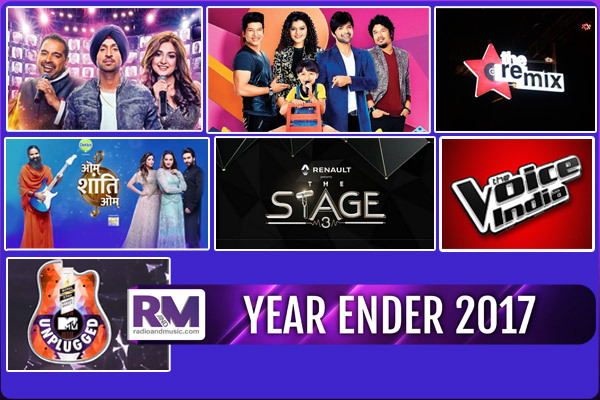 On one hand, seasonal shows like Sa Re Ga Ma Pa, Indian Idol, The Voice India returned with their new instalments, while, shows like Om Shanti Om, Phir Bhi Dil Hai Hindustani, Rising Star marked their debut on television. Let’s have a look at the shows that made 2017 musical for the audience. Sa Re Ga Ma Pa Lil Champs is indeed the most popular reality show of 2017 across all genres. It received 13.0 million impressions, which was the highest viewership for any reality property in India. The show which was a part of the oldest reality show franchise of India Sa Re Ga Ma Pa, saw a huge success with its current season. The factors that contributed to the success of this show were its contestants and the equation between the judges, Neha Kakkar, Himesh Reshammiya, Javed Ali and the fun element put in by the host Aditya Narayan. But the main highlight of the season was the cute little Jayas Kumar, the kid who won every heart. All of these contributed to the success of the show that ran for eight months. Om Shanti Om, a new singing reality show with an entirely fresh and unheard concept debuted on the new channel Star Bharat this year. The show had a unique concept. The contestants were to sing devotional music in contemporary style. The panel of judges consisted actress Sonakshi Sinha, composer Shekhar Ravjiani, and singer Kanika Kapoor. Yoga guru Baba Ramdev was the Maha Guru. The show was not a very popular one and did not gather great ratings, but it was a well-received one. It got 3.5 million impressions as its best one, which is decent in today’s time and a good start for a new show. Another debutant of Indian television, Rising Star too arrived on Indian television with an entirely new concept. They introduced live voting, a first on any reality property. The show was one of the initial singing reality shows of the year 2017 which replaced the popular property of Colors’ Bigg Boss. It was judged by famous composer-singer Shankar Mahadevan, actor Diljit Dosanjh and Sawar Loon singer Monali Thakur. It received 7.5 million impressions, indeed superb for a new show. One of the best properties of MTV, MTV Unplugged has always been a favourite with the audience for its soulful musical content. The show returned to the audience with its seventh season in the month of December with some of the popular musical names like Shankar Mahadevan, Vishal Bhardwaj, Rekha Bhardwaj, Armaan Malik, Amaal Mallik and many other such big names. The show has managed to keep its niche set of audience intact. With a fixed set of audience, the show managed to do its best by getting 0.118 impressions, which is highest of the season till now. Suron Ka Ekalaya, a reality show that not many were familiar with was a singing talent hunt on the national channel Doordarshan. The show had disco king Bappi Lahiri, Hum Dil De Chuke Sanam music composer Ismail Darbar and one from the hit musical duo of the 90s Jatin- Lalit, Jatin Pandit on the judge's chair. The show was not very popular with the urban audiences but it remained a loved one with the rural audience and the other Doordarshan viewers. The first singing reality show of the year 2017, Dil Hai Hindustani was a singing show on Star Plus which was new to the audience. Consisting of a unique panel of judges like director Karan Johar, rapper Badshah, Pareshaan singer Shalmali Kholgade and composer-singer Shekhar Ravjiani, the show became one of the best shows India ever had. The show was loved by the audience because of its musical element, the songs performed in it, and the magical touch given by the contestants to each of their performances. After the success of its first season with kids, the admired show of &TV The Voice India Kids 2 returned with its second season. This season of the show has singer Shaan, composer Himesh Reshammiya, Prem Ratan Dhan Payo fame Palak Muchhal and known singer Papon as the coaches. The show returned with its new season in the month of November and is still running successfully. The popular foreign concept The Voice has always been popular with the Indian viewers since the time it has come to the country and this season definitely keeps the legacy going. With maximum ratings of 3.7 million impressions, the show remains to be a consistent choice of the viewers. Colors Infinity got the third instalment of India’s very own English singing talent hunt show, The Stage. The Stage 3 consisted of some big names from the industry like composer-singer Vishal Dadlani, composer Ehsaan Noorani, musician Monica Dogra, MD and CEO of the Universal Musical Group and EMI Music Devraj Sanyal in the judge's position. Different from all other reality shows, which promote Hindi songs, this show showcased the Indian talent that excels in the English music. The show has a set of audience that follows it regularly, thereby making it popular to make it to the list of most popular musical shows of the year. The show definitely was not a 2017 show but was on-air in the initial period of the year. Kickstarted in December 2016, The Voice Season 2 proved to be audiences’ favourite with the highest impression of 3.7 million. It was judged by Salim Merchant, Benny Dayal, Neeti Mohan and Shaan. The Voice S2 won the hearts of the audience and proved to be one of the best and most loved shows of 2017. The was also the only reality show competing with big players like Fear Factor Khatron Ke Khiladi season 8, Bigg Boss, Super Dancer Chapter 2, Dance India Dance and such other big names. One of the most popular reality shows of Indian television Indian Idol came up with its ninth season this year. The season turned out to be very successful and garnered great ratings for the channel Sony Entertainment Television. Judged by Sonu Nigam, Farah Khan and Anu Malik, the show not only achieved successful ratings it was also one of the most loved shows because of its voices. It had become so famous show that, legendary singer Lata Mangeshkar and Cricket God Sachin Tendulkar too confessed to being fans of it. Sachin was also a part of the finale episode of the show. He also went on to give the winning trophy to L V Revanth. This popular season definitely made it to the list of the most popular musical shows of 2017. With the highest impressions of 8.8 million, the show carried its successful legacy ahead proudly. 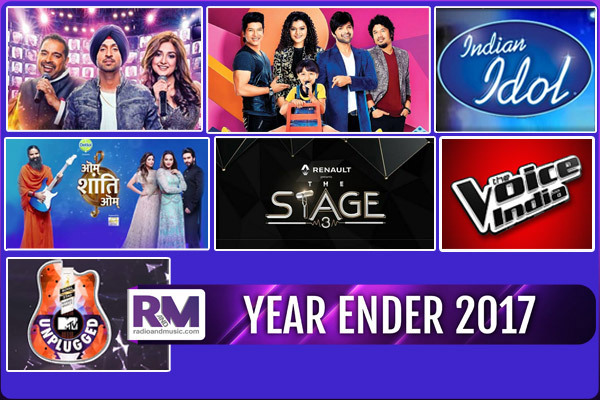 2018 too seems to be a year of musical reality shows, as Indian Idol, The Voice India, Sa Re Ga MA Pa, X Factor, Rising Star, The Remix and many other shows are scheduled to air this year.